This is what I wore last Sunday for lunch out. Opted for something comfy and simple. I love this blouse, not only because it’s one of my color obsessions (mustard yellow) but because of the detailed flowers! 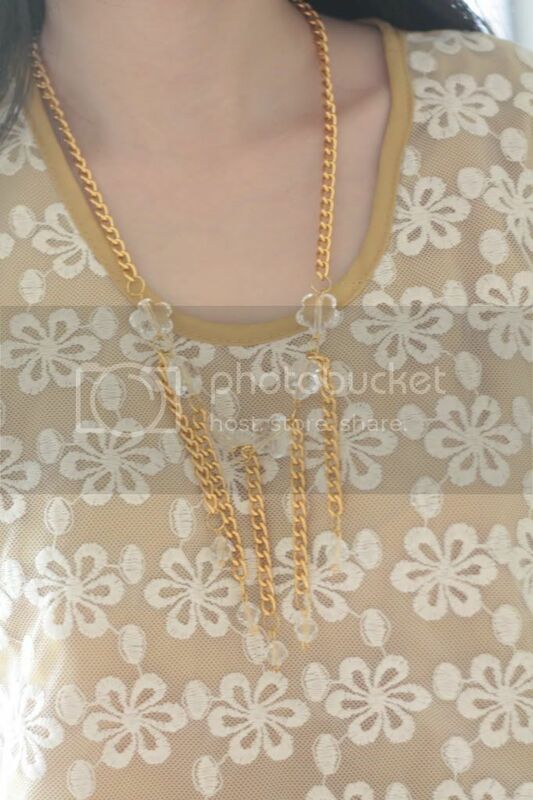 Decided to wear my new flower necklace that FashionTrends Collection sent me to match my floral blouse. Floral on floral! It’s pretty obvious I’ve been abusing these flats from Soleil! Can’t help it! It matches almost everything! Super versatile. Isn’t it so pretty? Decided to use this to match my flower blouse and necklace. P.S. Join my first giveaway here!